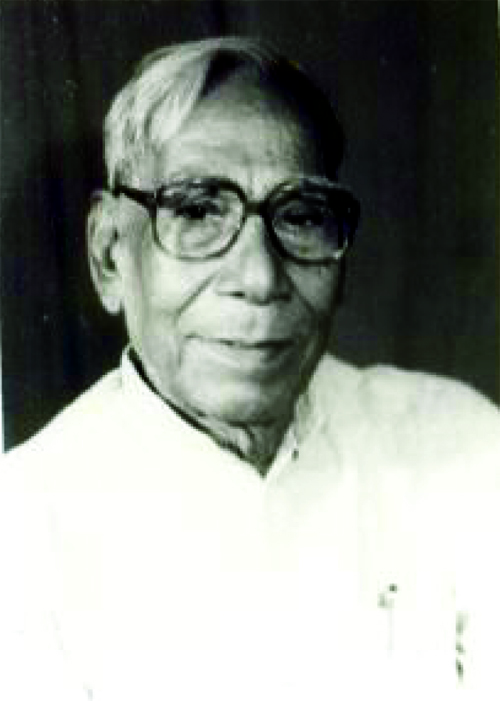 On January 01, 2013 Vir Baishnav Charan Pattanayak breathed his last. In his demise we lost the unrecognized father of integrated India that we live in. This truth is not yet highlighted in history, because he was such a revolutionary, whom independent India had incarcerated for around four years, because of his militancy that had forced the king of Nilagiri to be the first to merge his State in India and the King of Dhenkanal to follow suit. His class enemies in power and historians – mostly elite – having written the history of modern India, have deliberately not given Vir Baisnav, the Communist, his due place in history. Vir (The Valiant) Baishnab was the militant leader of the people that forced the Kings to sign the instrument of merger. But the Government led by the Congress had thrown him into prison for around four years thereafter and despite orders of the Supreme Court of India, had not released him till he was elected to the State Assembly from behind the bars. His militant leadership to people of princely States like Dhenkanal and Nilagiri and Athgarh is one of the reasons of the Government’s reluctance to release him, as this document depicts. Though history is yet to correct itself in this regard, it will not be incorrect to call him the Father of integrated India that we now live in. Colour of the eye balls	Black. General description of his body and habits etc. He has a black mark on the right chest, ordinarily wears Khaddar and indulges in appearing in verious disguise, such as woman, cow-herd with indigenous hat (Jhampi) made of split bamboo and palm leaf on his head or Kendra Jogi (i.e. a professional begger with a kind of harp in hand), when talks to a man does not look straight but look down or side ways, while talking nods his head side ways. One of his friends reports that he has got a black mark under the right calf and has recently one gun shot wound on his left arm between elbow and wrist . When he wants to speak any thing emphatically he strikes his right fist on open palm of the left. The Congress Government that had, in Orissa, incarcerated most arbitrarily for four years this valiant emancipator of the subjects of the Kings after independence, had, in all over India, been with the Kings supporting them with Privileges and Privy Purse, squandering away the exchequer for the wrong purpose. As a member of the Loksabha, it was Vir Baishnav again, who made a scathing attack on the Government over the issue and made a strong demand for abolition thereof. “Privy Purses must go if we take our independence, democracy and socialism seriously” roared he, while speaking on the demands for grants for the Ministry of Home Affairs in the Budget Session of 1965. “Let me start from Orissa, not only because I come from Orissa, but because it is full of former rulers, most of whom are openly against our national aim of socialism and so have organized themselves into a powerful political party. The Maharaja of Kalahandi, Sri P.K.Deo, a Swatantra leader and a member of this House gets Rs.1,14,000/- per year, which is more than four times the yearly salary of the Prime Minister of India. The Maharaja of Patna, Sri R.N.Singhdeo, another Swatantra stalwart, who is also the leader of Opposition in Orissa State Assembly, gets Rs.2,49,600/- per year, which is more than 9 times the yearly salary of the Prime Minister of India. Indian Prime Minister gets about Rs.2000/- per month, but the Swatantra Maharani Gayatri Devi’s Maharaja of Jaipur gets Rs. 5000/- per day or Rs. 1,50,000/- per month, or Rs. 18 lakhs per year, which is more than 70 times the yearly salary of the Prime Minister of India. The ex-ruler of Hyderabad gets Rs.50 lakhs from the central government and Rs.25 lakhs from the Andhra government, which comes to about 280 or 300 times more than the yearly salary of the Prime Minister of India. There are about 20 ex-rulers each of whom gets Rs.10 lakhs or more per year.There are hundreds and hundreds of ex-rulers to whom we are to give lakhs and lakhs of rupees as Privy Purse, and they are all tax free. When one thinks of the average daily income of the common citizens of our country and the tax free daily Privy Purse income of the ex-rulers, as for example, the Swatantrite Maharani Gayatri Devi’s Maharaja’s Privy Purse income of Rs.5000/- per day, and the wide disparity in income, the question of Privy Purse becomes indefensible”. “It is argued that the Rajas gave away their power voluntarily, and Privy Purses are the recompense from a grateful nation. This is a travesty of Indian history, and of recent history which is within living memory. It is not a true fact that the rulers surrendered their powers voluntarily. There were powerful Prajamandal movements in most of the States, as integral parts of the Indian national movements in most of the States, long before the British quit India. After the British left, the Prajamandal movements everywhere literally became popular mass upsurges and acquired tidal strength, which nothing could hold back, neither police lathi charge nor the military bullets. If the rulers had not surrendered, then they would have been swept aside. They had no courage to face their own people. Almost all of them came rushing to New Delhi to seek shelter, plead for peace and bargain terms. This is where the Privy Purse comes in. The Orissa State people’s movement was all powerful then. It was the bitterest in India. In fact, the Whitepaper on Indian States gives our movement the credit for starting the merger of States from Orissa. We, the ex-State people of Orissa are proud of it. I can say from my personal experience that there is no greater myth current in Indian political life than that the rulers gave away power voluntarily”. And on many other grounds over and above this, he had called upon abolition of the Privy Purses. After half a decade, in 1971, Privy Purses and Privileges were abolished when Prime Minister Indira Gandhi had to depend on the Communists. So, the father of integrated India, Vir Baishnav, the valiant, completed his mission of freeing the people of the parasite tyrants by forcing the Kings out of their thrones and by creating for the Government of India the environment to abolish the privileges and the Privy Purses of ex-rulers. We bow again and again to the great patriot, who, despite death, shall stay immortal for ever, for ever.